The shift to the cloud and a dispersed workforce has resulted in users bypassing the VPN to access critical business applications and data on mobile devices. Did you know that 70% of user activity originates from browsers without the latest security in place? 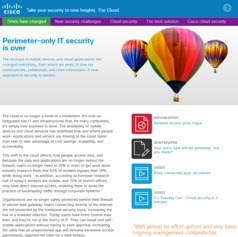 Organizations are no longer safely protected by behind their firewall or secure web gateway. What can you do to mitigate the risks associated with off-network access to sensitive data and applications? Find out why you cannot simply rely on firewalls and SWG any longer, and what you can do about it.